Refreshing and delicious, perfect for all of your summer adventures. In a small saucepan over medium heat, add the raspberries, water, and maple syrup. Cook until thick, about 5 minutes. Use an immersion blender or add the mixture to your blender to puree until smooth. Chill in fridge at least 10 minutes. Divide mint and 1/2 the lime wedges into drinking glasses. Use a muddler or the end of a wooden spoon to mash them together. Divide raspberry puree, ice cubes and sparkling water between the glasses. Stir to combine and garnish with remaining lime wedges. Sprinkle a pinch of sea salt if desired. Enjoy! It's 5 O'Clock somewhere, add 2 oz of white rum to each serving. No maple syrup, use honey instead. Make it smooth, strain your raspberry and use the juices only. Leave your comments below, I’d love to hear your feedback. 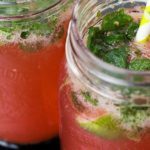 Christine Moran, is a registered homeopath and registered nutritionist based in Newmarket, Ontario. 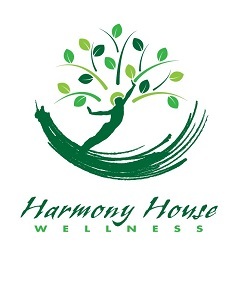 She strongly believes the mind and body are strongly connected to your overall health and wellness. With dedication and compassion, Christine will support you to reach your health and wellness goals through the use of Homeopathy, Nutrition and Reiki. Each modality may be used separately or to complement an existing treatment plan. Christine Moran is a graduate of the Ontario College of Homeopathic Medicine, Canadian College of Natural Nutrition, a certified Reiki practitioner, and a Certified Level II Dental Assistant. Christine Moran is registered with the College of Homeopaths of Ontario.